i Know Tennis! 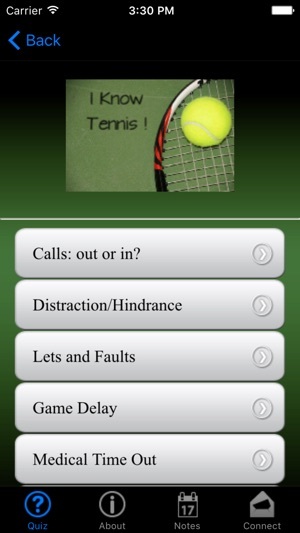 is the fastest way to learn and understand the rules of tennis. This app is for new officials, experienced players wanting a refresher, beginning players, team captains, pros and coaches. This app will entertain and educate through a series of quiz questions with a detailed answer. 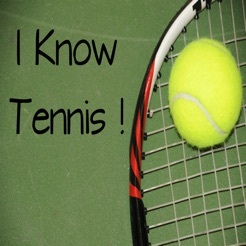 i Know Tennis! walks you through on-court challenges, category by category. From Serving/Receiving to Calls to Faults/Lets, you will learn how officials would rule on each court challenge. 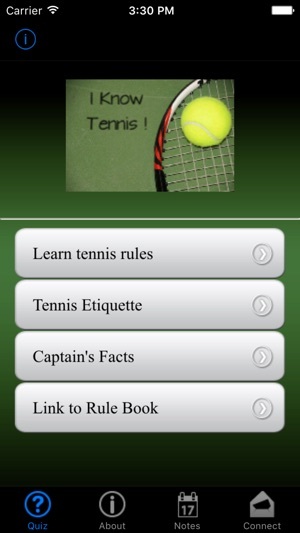 The app includes a reference area for USTA Team Captains. If you are a parent waiting for your child's game to begin, you can quickly run through a few questions, then close it down to watch your child’s game. Team captains, coaches and pros can select an area to review and study real life on-the-court situation in a comfortable and entertaining way. Your team may be headed for sectionals and you want a refresher on tennis rules before the event. 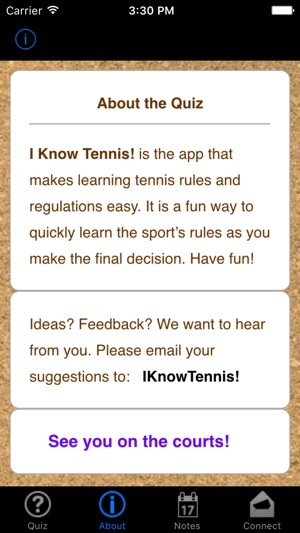 This is a great app to learn the USTA league rules and be more confident on the court.